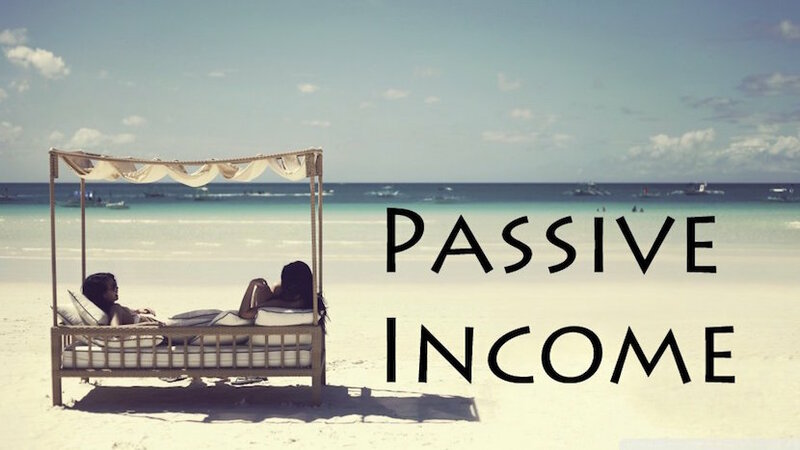 Everyone clamours after passive income. If it was that easy we’d all do it. The thought of having money flow into your account, day and night with no effort, is intoxicating. Thousands of bestsellers have been written about it, but don’t be fooled, it is also very hard to do properly or quickly. In one way or another, most of us trade our time for money. Time is finite, therefore the income that you can earn from it will also be finite. With true passive income you invest some time (often lots of it) and capital (often lots of that too) and come out with an invention on which you can earn royalties, a book or training program that earns you ongoing income or set up a website and sell ‘stuff’ that you buy cheap and mark-up and make a profit or start building a property rental portfolio. None of those are easy, and often the money you earn from it, unless you really have hit or spend a massive amount of time on promotion, is minimal for years. The ‘on demand’ economy has opened up new avenues for passive income that are worth exploring. If you have a spare room and don’t mind the invasion of privacy, then AirBnB might work for you and bring in a couple of thousand rand a month. If you put that in your bond, you’ll pay it off years earlier. You can do the same by picking a house that has a cottage and renting it out. If you have a decent car, you could also become an Uber driver or hire someone to use the car while you are at work, or in the evenings (when demand is often higher) – delegation comes with it’s own problems of course. Second jobs are not passive income, they are just more of ‘bartering your time for income’, instead of getting overtime at work. On the positive side though, some of them can be very rewarding. It is becoming increasingly easy to sell your crafts/art/hobbies. Distribution costs keep coming down and the value of handcrafted items going up. So while this might not be ‘passive’ income, it can be satisfying second income doing something you love and usually do for free. What about a property portfolio? Basically this is just an investment, which, over time will produce you a passive (rental) income. Big deal, so will a properly structured retirement fund with zero effort from you. Rental property portfolios have to be actively managed throughout their life, preferably by you and not an agent (to maximise your return and keep a tight rein on your tenants). They come with significant risk from rogue tenants in this landlord-unfriendly regulatory environment. Your portfolio needs to be diversified (5 or more) to mitigate this risk and because of Capital Gains Tax, you should buy and hold for at least 20 years or more. In order to do that, you need to be very careful what areas you pick. On the plus side it is one of the few areas where you can leverage ‘other people’s money’ to raise a bond and get your tenants to pay for it, and carefully constructed, it can add to your retirement plan but really shouldn’t be the only bucket of funds. In effect, it becomes an investment where the capital is preserved ( you always have the property). The rental income after taxes etc. usually comes in at 3 or 4%, and if that isn’t enough, you always have the option of selling the house and using the capital. Most retirement funds assume the full depletion of the capital after 20-30 years which is why they can draw down 6-7%. Get your financial advisor to help you with a long term plan that includes rental properties, retirement funds and other investments so that it is properly constructed from the start – there is not much room for mistakes 15 years down the line. One trick is to make the decision on passive income early in your career. Sensible spending habits will help you get on the ladder quickly. Banks are not going to lend you money to buy rental properties if you’ve maxed out your credit on your primary home, they will make you wait until you have paid a chunk of it off first. It’ll be a matter of priorities – do you want a smaller/cheaper house, pay it off quickly then build your property portfolio or is having the best house you can afford more important to you? (My advice – buy the worst house in the best suburb and not visa versa). I have said before and I will say it again, when it comes to cars, check your ego at the door. The reasons for changing cars every 3 years are usually because the ‘motor plan’ has run out. Baloney. If maintenance is horrific after the motor plan because all the parts have to be imported etc, perhaps you should be making a smarter choice right from the start? Say you were spending R7k pm in car repayments over 3 years, if you put that into an investment (or your bond) for the next 7 years that would be R588k just in contributions with no annual increases and no growth or interest. You could halve your bond repayment period! Bond interest rates are usually the lowest you can get, for the next car you can then tap into this equity for the next. While you’re getting your act together to develop your passive income, the best thing you can do is get curious, get ambitious and up-skill all the time. The only way to really leapfrog into higher income brackets is usually changing job – today it is normal to change every 3 years. Scan the environment for changes in your chosen career and get ahead of the game. The phrase “I can’t” shouldn’t exist, except perhaps in sport. There is “I don’t want to” or “I can’t be bothered”. There is nothing wrong with that, just fess up to it and move on. It is not cool to be clueless. If you aren’t really keeping up with technology you are going to be left behind and pushed out into early retirement, kissing goodbye to 10 years when you could be raking in hundreds of thousands of Rand toward your retirement. Today there are hundreds of free or nearly free resources that will give you more usable knowledge than any degree (I know, I have a few). For example, for a couple of hundred rand I have learned to develop apps and professionalise my art and craft to the point that they are marketable (if I ever wanted to). Owning your own company, with staff that can keep building the business whether you are there or not, produces great passive income by way of dividends, and obviously can be sold and generate capital. If the company cannot exist without you – then that passive income will come to a grinding halt when you do. 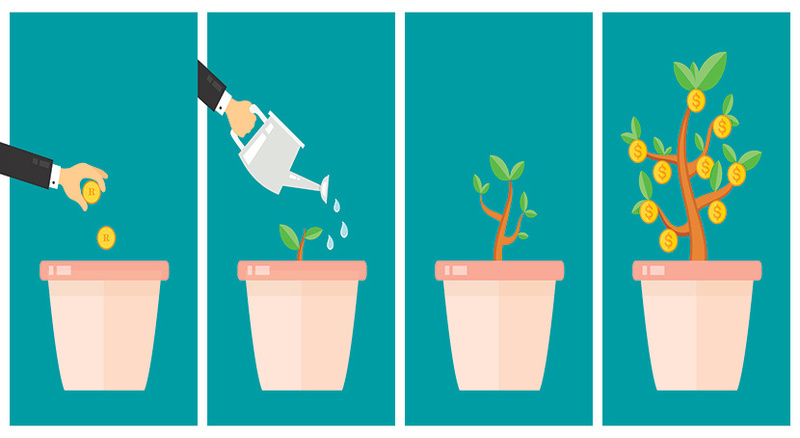 There are a couple of industries and professions that have a ‘built-in’ passive component, investment advisory being one of them (with fees from assets under management). Companies can have ‘retainer’ agreements for their services (legal, IT, consulting, training, coaching, advice etc) that are also not pure ‘time for money’. This sort of profession is increasing, but takes years to build up to a level where there is very little effort for a reasonable payday, and if you get too old to run it, it can be sold or the responsibility delegated. If you are in one of these industries, then you have to bring your customers round to the notion that ‘advice is not free’ (and no, you can’t pick my brain). The legal profession have this waxed, but others – especially financial and investment advisory – not so much! The whole objective of passive income is to ‘leverage’ the number of hours you have in a day, not work longer. Action: Building up a passive income stream takes time – often lots of it – and capital. Done properly it will make your retirement much more secure but have it clearly planned out, and realistic. It should add to your retirement plan, not replace it. Passive investing has grown in appeal, as investors switch from expensive actively managed investments to lower-cost index trackers that do a similar job. But, passive investing alone is not good enough in a low-growth world. This is highlighted by Dawn Ridler, an independent financial adviser, who sets out the details of why you need a blended portfolio. Financial emigration is a complex business, with many unexpected costs as you sever the ties with South Africa. Many people don’t officially emigrate, finding it easier to slowly liquidate assets and shift funds offshore. Financial advice in this arena doesn’t come cheap. Expect to pay anything from R15 000 to R50 000 to have your portfolio assessed and smart plans put into place to liquidate investments. In this article, Johannesburg-based independent financial adviser Dawn Ridler generously shares her expertise. This article on financial emigration is published here on BizNews.com with the kind permission of Dawn Ridler. Copyright: Dawn Ridler. Dawn Ridler is an Independent Financial Advisor with extensive experience in both financial advisory and business. Her unusual combination of an MBA, BSc and CFP ® has evolved into an ‘ecological’ and holistic approach to advisory, which she has tagged ‘Wealth Ecology’ in her company, Kerenga.